With up to triple connectivity for softphone/PC, desk phone and mobile devices. If you are working in a noisy environment, you will benefit from the Voice Clarity technology in Sennheiser headsets. With a noise-cancelling microphone and detailed sound, every word comes through crisp and clear. It’s as if you’re having a face-to-face conversation. 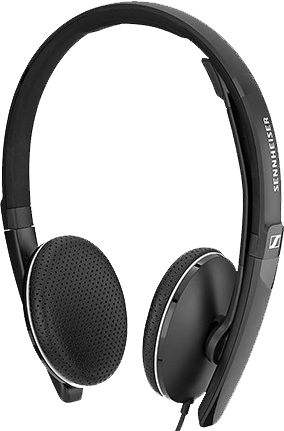 Sennheiser HD stereo sound - (available on double-sided variants) for calls or listening to music while working. Flexible device connectivity - with options of 3.5 mm jack (available on SC 1X5 variants), USB-A or USB-C. Maximum comfort - with large on-ear pads.